We do not offer any walk-in services. All visits must be made by appointment or online class reservations. Learn the fundamentals of bodyweight training. From being able to squat properly to achieving your first pull up and push up. We offer a wide range of group classes for all levels. From developing your strength to improving your flexibility with Yoga. Private 121 training for those seeking a more bespoke training package tailored to their individual needs and goals. Be more motivated, working out with others and get the close guidance of our coaching team. Intense circuit classes to help improve your everyday well-being, increase your fitness and burn those calories. 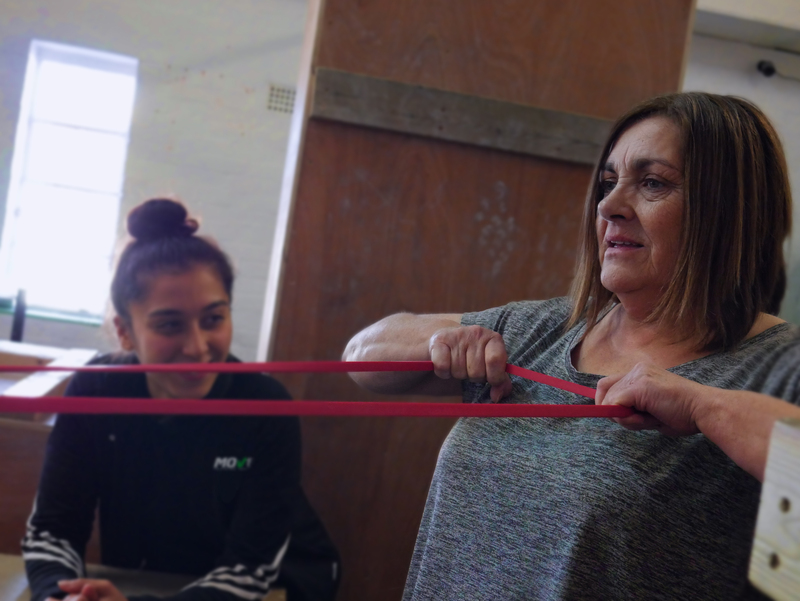 We encourage senior members to participate in physical activity to help tackle health issues such as arthritis and obesity with the expert help of our coaching team. We can help improve physical and psychological attributes to take your sporting performance to the next level. Our coaching team can deliver injury rehabilitation training to help effectively treat pain and return to normal function. Sign up and book your first class! 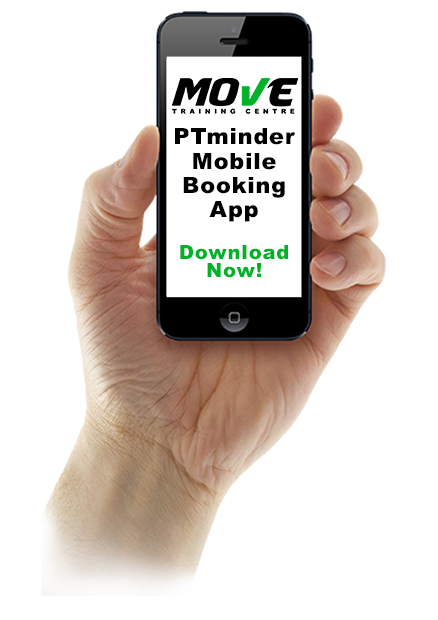 An easy and convenient way to book classes, services and manage your account, all from your mobile phone. Great positive environment with intelligent and progressive advice and guidance on becoming stronger/fitter in a very natural and healthy way. Awesome gym to train at with something completely different and Unique! Awesome gym to train at with something completely different and unique to any other gym. Friendly atmosphere for both males and females, and very addictive!! Awesome to have a calisthenics dedicated training gym in Southampton! Awesome to have a calisthenics dedicated training gym in Southampton. Lots of excellent equipment and Owen is a superb instructor and the classes well planned and great fun! Move Training Centre has brought my daughter’s confidence back! Move Training Centre has brought my daughter’s confidence back. Owen believes in her capabilities and has a fun and patient manner to encourage her. Since having 1:2:1 lessons she has got so strong which has really helped her with the other activities she does. Thank you guys. Not being a natural gym bunny but in need of finding something to try and get fit I tried a few places without success earlier this year. They either couldn’t/wouldn’t help or looked too intimidating to go in! Shakiba listened to what I wanted to do/needed and devised sessions especially for me based on my limited abilities. I will never “like “ exercising but she is making it fun, is super encouraging and listens to you whilst surreptitiously making you work hard! If you want a place to work out that isn’t pretentious or intimidating then I would recommend getting in touch and arranging a 121 session. Rates are very reasonable. I’ve just started 1:2:1 sessions with the amazing Shakiba. Her intelligent, fun and caring nature has given me motivation & confidence. I’m forever grateful I took that massive leap of faith and started working with her. Move Training Centre is such a positive place to train, the classes are really enjoyable and give me focus and discipline to push myself further – I always leave feeling that I have worked hard and have fun, regardless of how much I ache the next day! Thank you guys! Fantastic gym and a great fun atmosphere. Owen the instructor is very patient and his instructions are great. 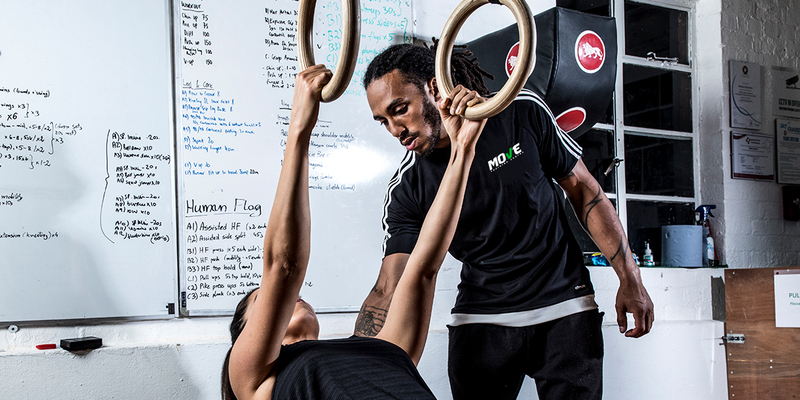 Ditch your normal gym and muscle up in a more fun and engaging environment. Co-Owner Owen competing in a 89 mile ultra marathon through Snowdonia!